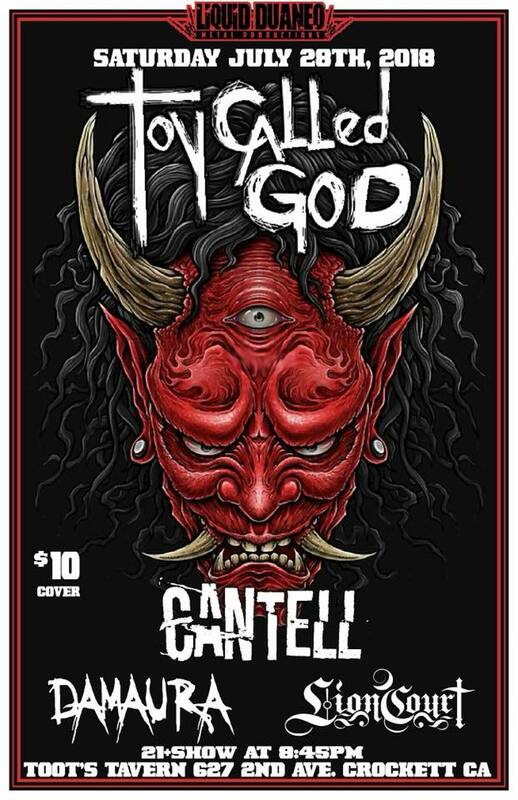 Liquidduaneo Metal Productions proudly presents..
Toy Called God plus more!! They make their way back to Crockett with new members and new songs!! Come Party!! THIS 4 BAND LINE-UP IS GREAT!! TRUST ME!! Mark those calender's for a great time to be!! Doors @8 / Show @9 / $10 donation cover for bands / 21+ only / great sound / stage / lights / staff / outdoor smoking area / kitchen menu / security / parking / upstairs vip band room / 420 friendly / FUN GREAT TIMES! !